It happens with the Brivo On air app, which we make available to our access control and intercom clients. If you use either of these technologies and have chosen Guardian Security to help you deploy them, you have this easy-to-use mobile app at your disposal. Here’s what you can do with it. 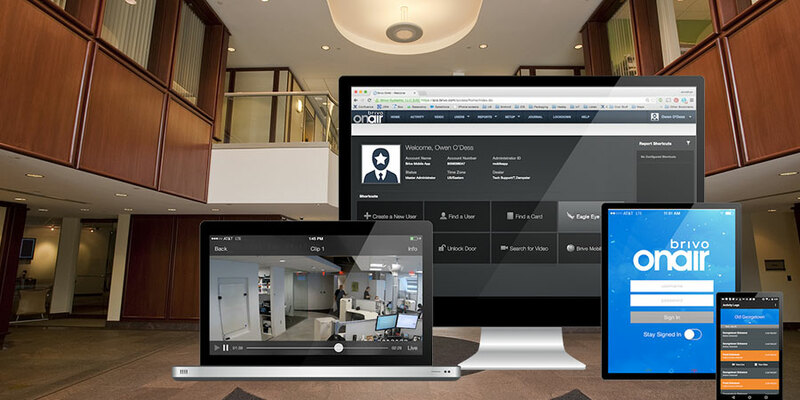 Want to see logs of access events and intercom activities recorded for all your facilities? That’s easily done from the dashboard on your app. Someone without an access credential needs to come in? It’s easy to unlock the door for them with a touch on the app. The app will show a list of all your doors, and you’ll select the one you need to open up. An entire list of your access control users on your phone? That’s another thing the app makes possible. Each name will have a color-coded icon that instantly communicates the status of their access privileges, and changing them is as easy as tapping on the name. If your cameras are connected to access control, the same app can let you view your footage as well. Touch any camera location on the app to view the live feed. This app is an easy-to-manage security platform in the palm of your hand. The facility administrator can take care of these important tasks on the app, rather than being tethered to a desktop computer in order to manage commercial security. Seattle companies that want to find out more, call Guardian Security to request information. We will be glad to speak with you.